Background: I was in Missouri to watch the Missouri River 340 Kayak/canoe race (I was not able to participate in the 2018 race) and met one of my old high school buddies-"Red" Dittmyer in the Defiance tavern by the Katy Trail. Red was incensed that William “Billy” Busch planned to build a 20,000-square-foot microbrewery on Benne Road. "No one is happy with this aberration. It does not fit in our community"
"We are brewing our own rebellion against the "Brewhouse on Benne Road" -as the locals have taken to calling the proposed Brewery and restaurant on the Busch family-Blue Heron Farm." First I had heard of it. "Can the traffic on Highway DD take another 300 drunks? Counting the winery crowds?" I asked. "F........ no" blurted Red. They are going to produce 2500 barrels of beer a year and turn loose the drunks onto DD to dance with the quarry trucks"
There is a blind hill just before the entrance to Benne Road. People accelerate at that hill I remembered. I accelerate on that hill. I winced and hoped I would be never the first to arrive on that scene of destruction. I sipped my Bush beer "You said you were brewing a rebellion? What are your rebellion plans?" I asked scanning the old tavern that I had often snuck into as teenager. "Petition the St, Charles County Council of course." explained Red, who was suddenly annoyed at my guffaw. "You know" I laughed "That's a family of billionaires and by now they probably own all of St. Charles County Council down their grandchildren & future ex-wives. Hell I bet they sold out cheap!" Beer was talking. It was good to be back home for a little while. "I know, uphill battle" said Red, "But we have the Society"
"Hey I was going to join your group last year" I said. The "Society of survivors of the Weldon Springs Diaspora" were my neighbors and friends that I had grown up with and they were mostly big people with big hearts, and originally were mostly big farmers of German ancestry. However the society had changed as the area around Busch Wildlife Area had become more developed. And the government's $16 million clean up of the Weldon Springs area had exposed some of the pollution- both chemical and radioactive waste had finally come to light. "Society of survivors of the Weldon Springs Diaspora" -Children, grandchildren and friends of survivors of the most horrific abuse of eminent domain by the United States Government. Our goals, our reason for existence of are simple & stated in our bylaws. *Preserving the history and stories of the families forced from their land. *Defending property rights & resisting the abuses unfair eminent domain confiscation. *Protecting our precious ground water from further chemical abuse. *Preserving the way of life of rural St. Charles County. I bit my tongue not to ask Red about his sister. "Well" I said sagely "The SWSD is you best organizing group in the back country, what's the status of the petition to the County?" "In the works" said Red handing me a piece of paper. 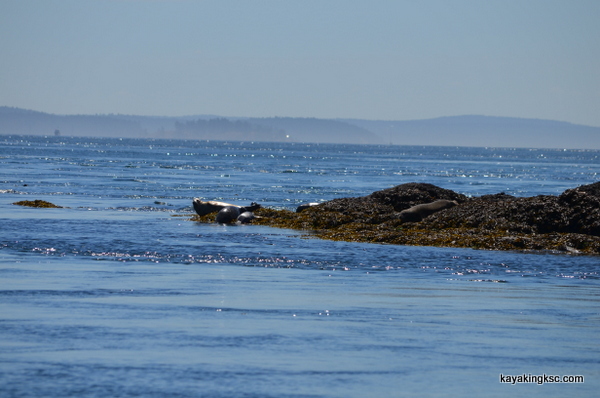 "How about putting this on your kayak site until SWSD gets their web site back up?" "Sure thing buddy" I said. Red knew I had some web pages on the O'Day Creek pipeline break and the new O'Day Park. We all know the history of Busch Wildlife Area. -How the government came in and at the point of the bayonet stole 20,000 acres of St. Charles area farmland. A shameful day in our history. Grandmothers wept, livestock were shot and homes razed. Farmers already devastated by the Great Depression were given 30 days to evacuate what they could by mule drawn wagon. There were depressing emergency estate sales where properties were auctioned away at pennies on the dollar. People literally went insane as family homes of a hundred years or more were stolen at the point of the bayonet. A sad day for St. Charles County and America. A great day for those who profited from mass suffering. Who remembers the sordid history of Busch Wildlife area? With the farmsteads still smoldering and cattle rotting in the fields; the largest TNT plant in the world was constructed for a war that was still two years away. Today chemicals from this plant still contaminate Dardenne Creek and our ground water. Now another Busch is on the scene to disrupt lives in St. Charles County. To disrupt the lives of the very children and grandchildren of those German farmers forced off the land of the current Busch Wildlife area. The new Busch and minions are not threatening with bayonets this time but instead are secretly waving green back dollar bills to build an aberration of a brewery that will disrupt the quality of life and quality of water. The scent of money to build a brewery and host a 360 day a year Oktoberfest. There is a difference that should be noted. 80 years ago the site of the original Busch wildlife/Weldon Springs TNT plant was chosen for its location to roads and rail. The new bridge over Highway 64 was a driving factor in the land theft. The new proposed Busch aberration? A faulty selection, a weakness than cannot be avoided. Rural Benne Road and Highway DD cannot support this Busch brewery and restaurant-An Octoberfest 365 days a year. The rural roads cannot support the trucks that will be transporting beer across the nation or bringing truckloads of material for brewery and restaurant. Highway DD is already heavily used by people going to work, by quarry trucks, by wobbly drivers from the wineries. 250 beer drinkers added to the 10,000 people who use DD already will equal how many deaths? Now? Things have not really changed. This time who will defend the children and grandchildren of the first land theft, survivors of the TNT plant diaspora? The residents of Benne Road and Highway DD have only the St. Charles County Council to protect them from Busch, to protect their quality of life, noise pollution, water pollution, traffic congestion & traffic deaths. Only the St. Charles County Council can resist the “under the table green backs” and defend the way of life of the current residents. Ambrose Schulte whose family farm sits under the waters of Lake 33 in Busch Wildlife Area was reluctant to talk of the atrocious & unjust story of his family's eviction by the government. It was a painful time for him to talk about. However when prompted he would tell of the walnut grove his family planted and tended. The walnut trees were the family’s source of emergency funds. When his family was forced off of their land, the government cronies who assisted in the land theft at gunpoint refused to let the Schulte family take their walnut trees. The Schulte's only source of money. As the Schulte family drove away from their farm for the last time; they could hear the sound of the government henchmen cutting down the walnut trees. Despicable people profiting from the suffering of poor farmers. The St. Charles County Council has only two choices: defend the current life style of the residents of Benne Road & Highway DD and deny the Busch brewery permit. Or choose to be like the walnut tree thieves assisting in an aberration of justice. I created this page for Red and the Society of survivors of the Weldon Springs Diaspora. Still not my fight, except I joined the society. .....On the trip back to Florida there was a lot of dwelling on Red's sister, my time in the USAF & other days long past in Missouri. Cannot really ever go home. Update for those who might care. The Brewery was approved. -You really cannot beat city hall & even more so when they are backed by a multi-millionaire. 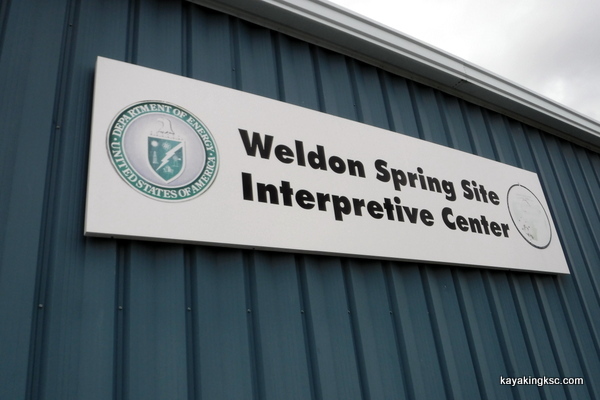 If one wishes, to meet Red and "Society of survivors of the Weldon Springs Diaspora", this summer there will be an annual picnic at the Highway 94, Weldon Spring Site Interpretive Center. Just look for the giant gravel dome that has the radioactive waste and debris stored there forever.